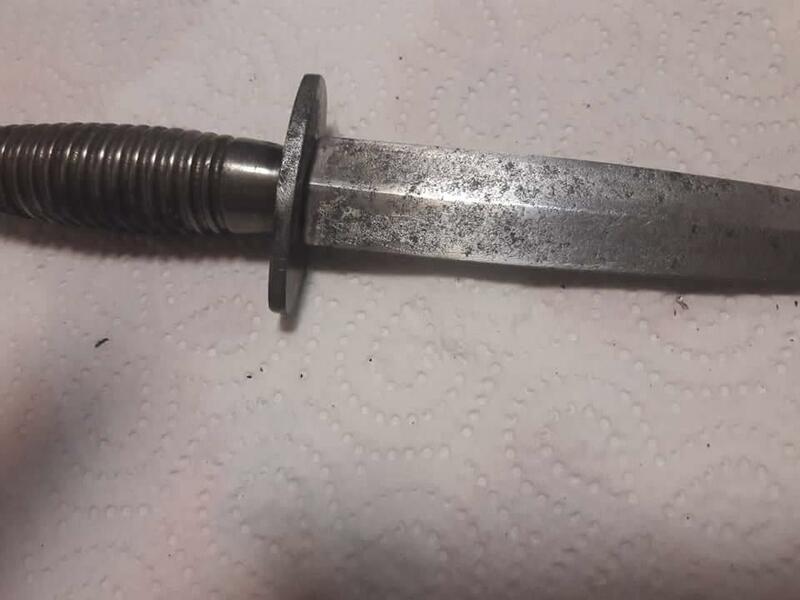 I found this article on sale as military knife, and as I searched for information, I found that it may be British. 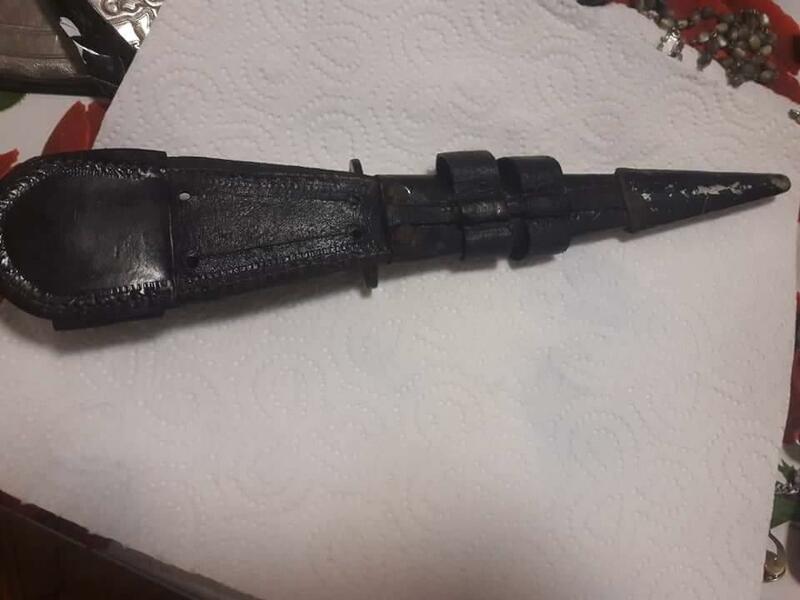 Can someone please confirm that is a British ww2 fighting knife? 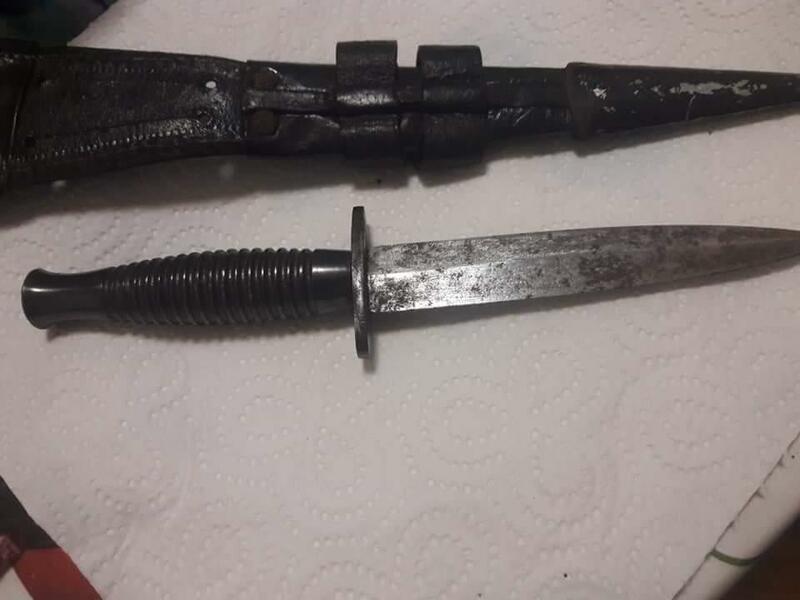 It appears to be a model of a Fairburn Sykes fighting knife. Take a look here and you will find all you need to know. 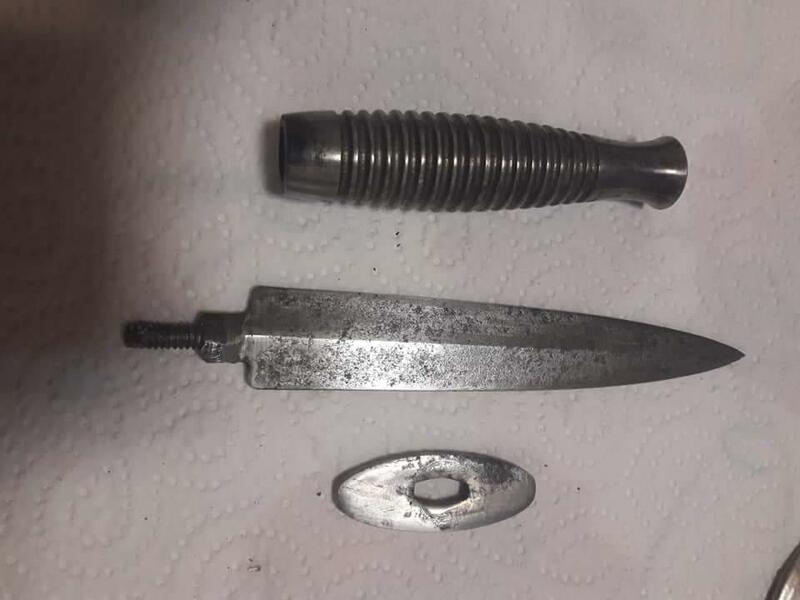 A copy of an immensely popular, salable and widely 'fiddled with/faked' Fairburn - Sykes knife. The original had a tang which ran through the handle and was secured with a brass nut at the pommel. You can see this in one of the photos on the site Simon cites. The originals are longer, slimmer and better made than this looks to be. OTOH, thousands were sold out of the UK after WWII so it is inevitable, I think, that other makers took it as a pattern. Nice, quirky piece, provided you didn't pay a 'FS Commando knife; price for it. Hi! Thank you both for answers. No! I didn't bought it. I knew that something was "fishy", but did not knew what, that's why I have asked. Have a nice day and thank you again for your help.